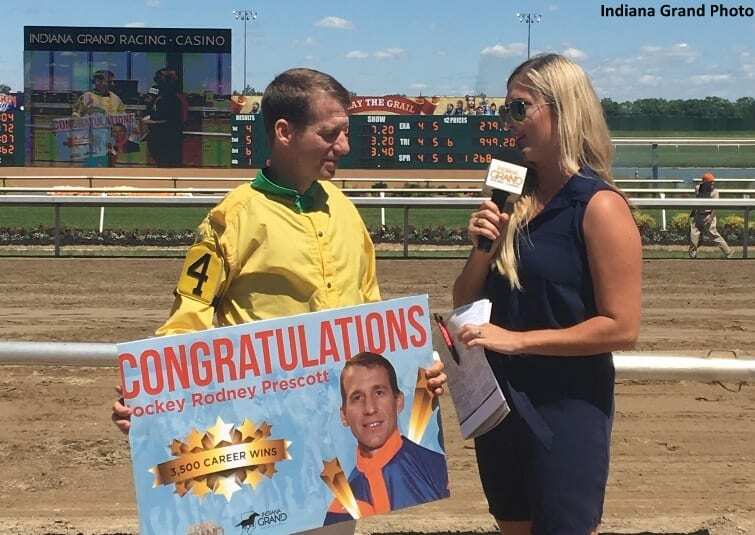 Rachel McLaughlin, on-air racing personality at Indiana Grand, talks with Rodney Prescott after his 3,500th career win recorded at Indiana Grand Friday, June 2. This entry was posted in People and tagged Horse Racing, Indiana Grand, Indiana Grand Racing, rodney prescott, thoroughbred by Press Release. Bookmark the permalink.